Will singer Cara Watson, Shreveport, be the next Louisiana voice on American Idol? "Cara Watson of Shreveport, LA got her golden ticket last night, Thurs, Jan 23, on American Idol Season 13," writes Erin McCarty of k945.com. "She’s heading to Hollywood!" 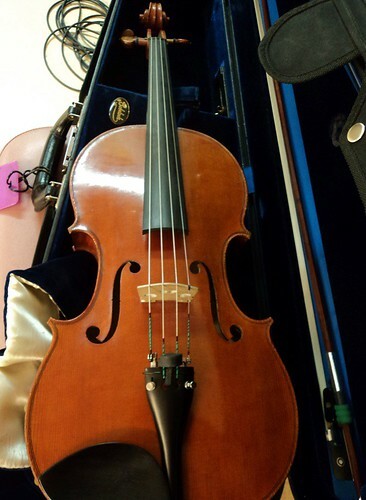 Watson won the audition in Atlanta, but it was not without stress. She reported that the judges were critical of her performance. Nonetheless, they have opened the door to Los Angeles. The Caddo Magnet HS grad sang for 4 years at Magnet, working with Patti Reeves and others. 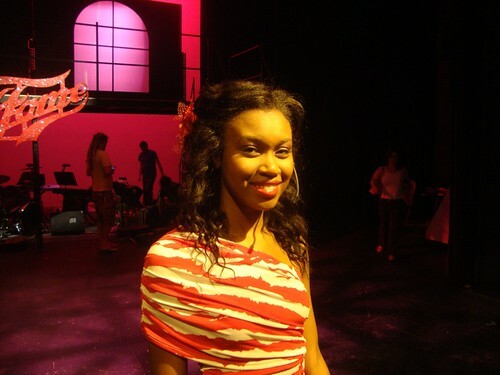 Watson also sang with Academy of Children's Theater. In the photo above she was performing as one of the principals in "Fame." Yet it all began in the church, says Christopher Mazen, an encouraging classmate at Magnet and a successful singer in his own right. Abundant Faith Ministries was cited by Mazen. "The last several years have proven that Shreveport/Bossier City is a hotbed of musical talent," says McCarty, "with Shreveport native Willie Jones appearing on The X Factor USA and Dez Duron and Cole Vosbury on The Voice." 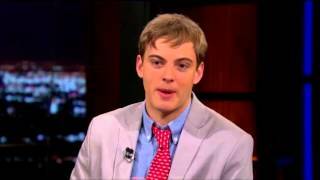 Zack Kopplin is an American political activist, journalist, and television personality from Louisiana. Kopplin has campaigned to keep creationism out of public school science classrooms and been involved with other separation of church and state causes. He has opposed school vouchers because they provide public money to schools which may teach creationism. As a senior at Baton Rouge Magnet High School, he secured the signatures of 78 Nobel laureate scientists opposing the passage of the Louisiana Science Education Act, which opened the door for the teaching of creationism in public schools. Zack is active in issues involving the separation of church and state and is a strong voice for the teaching of science in public school classrooms. Zack will be on campus Wednesday night at 7pm, and Thursday at 11:10am. Both events are in the Whited Room, which is in Bynum Commons. The Monday, Feb. 3, event is also at 7pm in the Whited Room. It will be a panel-led community conversation. Artist and 70's and 80's skateboard champ Steve Olson helps kids spread paint and discover art on Sat, Jan 25, noon to 4 pm, Artspace Shreveport. Olson will use your child as a "brush" to create a new work of art, says Megan Porter. These "pieces" will become part of Steve's upcoming exhibition. It is gamely called "Generationless: Skateboarders can be artists, too!" In the video above you can see compagno Olson making art at the Venice Biennale in 2011.
juliecrews, a photo by trudeau on Flickr. BAC's Gallery Fine Art Center presents the art of Julie Crews, John Wagoner and Steve Zihlavsky, says Leigh Anne Chambers. 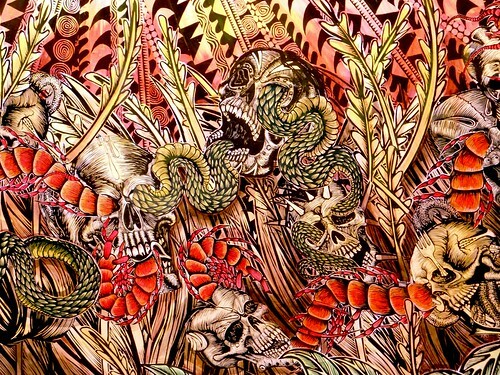 The Show will be from Feb 1- April 30 with a reception on Feb 25, 5:30-7:30. 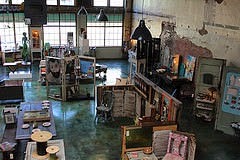 Gallery Fine Art Center, 2151 Airline Drive, suite 1200, Bossier City, Louisiana. Tues-Sat, 12:00-5:00pm. Julie Crews grew up in Asheville, NC. 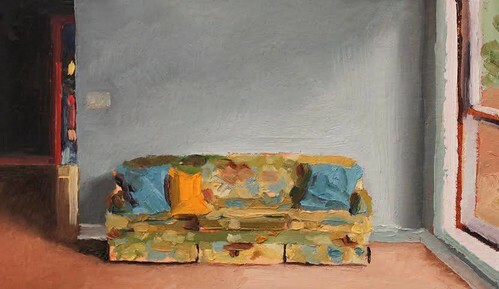 Her painterly work bespeaks an ability to find beauty in the mundane and surprise in the repetitious. In 2007 she received her Associate degree in Illustration from Brigham Young University- Idaho and in 2008 she had her first solo exhibit in Salt Lake City. She has since been included in several National Juried Exhibitions and was chosen as a Louisiana Public Broadcasting Patron Artist in 2011. More: (318) 741-8310 or www.bossierarts.org. 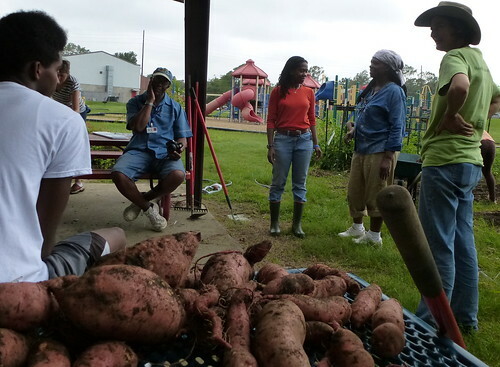 Valencia Park Community Garden, Shreveport, a photo by trudeau on Flickr. Lee Morgan will discuss his personal stories of integration in the Shreveport-Bossier area and on Centenary's campus. Archivist Chris Brown will introduce the "Presence of African Americans at Centenary prior to 1956" history exhibit, located in the lobby of Bynum Commons. Lunch with the speaker. Dream Week Convocation: "The Unknown Heroes of the Civil Rights Movement"
Dr. Dana Kress and Dr. Peter Huff lead this conversation about the unsung heroes of the Civil Rights era. Listen to a Centenary alumna discuss her years at Centenary and her current work with the Shreveport Mayor's office. Film Screening: "Race—The Power of an Illusion"
"Race—The Power of an Illusion," is a three-part PBS documentary mini-series that investigates race in society, science, and history. For directions to the University Center Theatre, visit http://www.lsus.edu/about-lsus/visit-lsus/campus-map-of-lsus. The Mahogany Ensemble Theatre will stage a reading that honors the lives of Denise McNair, Carole Robertson, Cynthia Wesley and Addie Mae Collins, on the 50th anniversary of the bombing of the 16th Street Baptist Church in Birmingham, AL. The play takes a look at what every child imagines they want to be when they grow up and dares to examine what it's like to be a child in the most extreme conditions. Admission $5 for the public. January 25, 1:00 p.m., Marjorie Lyons Playhouse. Presented by Mahogany Ensemble Theatre in partnership with the City of Shreveport, Shreve Memorial Library System, and Centenary College. Info: Chris Lavan, Director of Global Engagement, at (318) 869-5542. 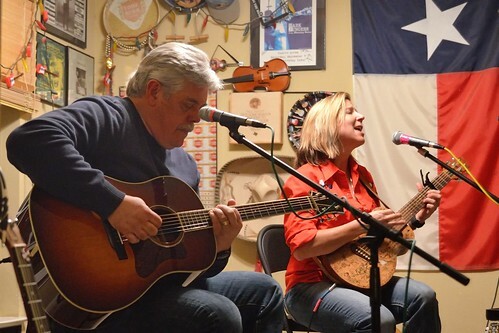 Lloyd Maines and Terri Hendrix, a photo by dave_hensley on Flickr. "This Sunday will be the fourth time that Terri Hendrix and Lloyd Maines will perform in the Shreveport House Concert Series at Fairfield Studios. Wonder why we would have them back more than any other performers? Because they are that good," says Jim Huckabay. "Terri Hendrix is an award-winning Texas songwriter. A classically trained vocalist and deft multi-instrumentalist (guitar, mandolin and harmonica), she dodges musical pigeonholes alongside legendary producer Lloyd Maines (guitar, dobro, pedal steel), by weaving folk, pop, country, blues and swinging jazz into an eclectic style all her own." River City Rep at East Bank Theater on Jan 24 - 26, Holocaust memories in one-woman show, Silent Witnesses. 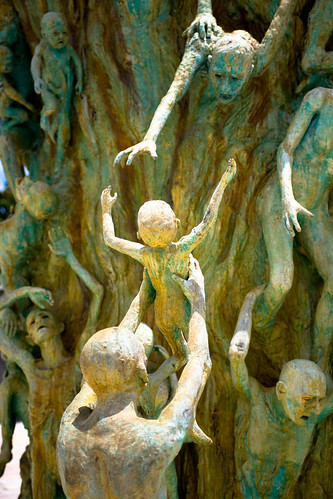 Holocaust Memorial - Miami, Florida 2008, a photo by Bart Claeys on Flickr. Patric McWilliams and River City Rep will present the one woman show, Silent Witnesses, at East Bank Theater. A production based in Loa Angeles, it is directed by Anita Khanzadian. "I saw it in NYC and it's a really wonderful evening of theatre. This is a continuing project of River City Rep's to bring performance pieces dealing with contemporary issues and subjects dealing with humanity in a visceral, entertaining style," said McWilliams. 318-868-5888 Monday thru Saturday, 10-5. Tickets $35.00; $10.00 students with ID. B2B Volunteer Clean-up, MLK Day, a photo by trudeau on Flickr. 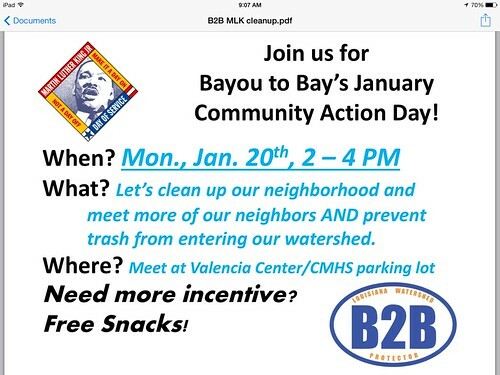 "The goal of the Bayou To Bay project is to improve the health of our local waterways. Through education, action, and play, communities in Northwest Louisiana will learn to care about what it means to be "downstream," one watershed at a time," says Jon Soul. BAC compiling guide to those who create Lights. Set. Sound. River City Rep's "Night of the Iguana," East Bank Theater, Bossier City, a photo by trudeau on Flickr. The Bossier Arts Council is currently compiling a resource guide for traveling theatre companies, says Leigh Anne Chambers. Please send your contact information to robin@bossierarts.org. Above: Phillip Jordan Brooks in River City Rep's "Night of the Iguana." At BAC's East Bank Theater. Critical Mass 2 deadline Jan 25, a photo by trudeau on Flickr. Shreveport Regional Arts Council (SRAC) and artspace present Critical Mass 2 – an open invitational exhibition for all Northwest Louisiana “Directory” Artists. 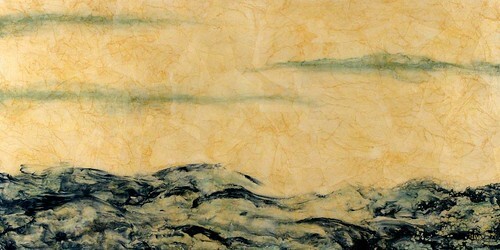 The Exhibition encourages Artists to register on the NWLA Artists’ Directory (by the date of submission of artwork) and to submit one work to be exhibited and critically reviewed by a professional, out of area Critic. The Critic will select the work of one artist who will advance to a “solo” Exhibition/Presentation. SRAC will support the solo Exhibition with a $2,000 cash award and an advertisement featuring the selected Artist in a national publication. The Critic will return to artspace to review the work; the review will be published. The 2014, Critical Mass 2 @ artspace Exhibition will bring three nationally renowned Critics so that awards can be presented in Visual, Literary, and Performing Arts. Deadline extended to Sat, Jan 25. Submit Online. Bayou to Bay @ Caddo Magnet HS, Shreveport, a photo by trudeau on Flickr. 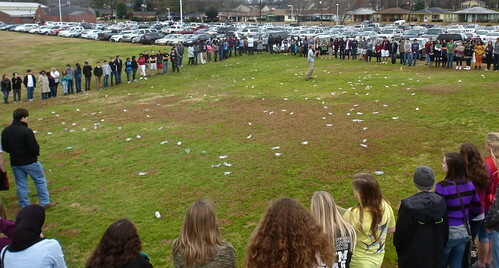 Jon Soul, Shreveport waterway activist, ushered some 200 Caddo Magnet HS students onto a sloping lawn to demonstrate the properties of a watershed. Earlier, his visual show helped students learn the difference between a storm drain and a sewer. He showed the teens images of the massive amounts of trash that clog Bayou Pierre a few miles south of Shreveport. Scores of plastic water bottles strewn across the lawn reminded students of the typical ways in which citizens contribute to the degradation of the watershed. Said student Ryan Vauclin, "I've learned a lot today about the impact of innocent garbage on the environment. I liked his point about the number of basketballs, softballs, soccer balls and kids' play balls in the bayous. Eventually those rubber and plastic balls arrive at the Gulf of Mexico. Our bayou trash becomes an international problem." His visit was organized by social studies teacher Dionne Procell-Brown. She was aided by SciPort's Michelle McKee and Donna Vishnefski. Also involved: teachers Patti Lafargue and Robert Trudeau. reans, a photo by trudeau on Flickr. "Earth Energy Alchemy" is the title of Tony Reans painting exhibit at River Oaks Square Art Center, Alexandria. It opens Jan 10 with a party which will be webcast, says Reans. Reans will also offer a two-day workshop on Thurs, Jan 9, from 10:30am to 4:30pm, and Fri, Jan 10, from 10:00am to 3:00pm. Space is limited, and the fee is $75.00 per person. Reans' artist lecture is free and open to the public on Thurs, Jan 9, at 9:30am. The ninth annual all-Shreveport radio show on Romp and Stomp is scheduled for Tuesday, January 14, 2014, from 5:00 to 6:00 pm. Tune in to KSCL 91.3 FM or listen live online at www.kscl.fm. 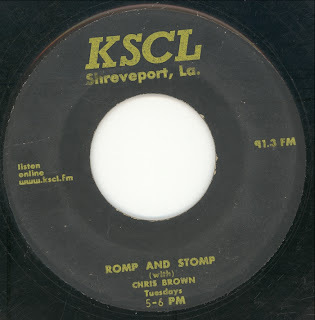 You’ll hear songs by Shreveporters, songs about Shreveport, songs recorded in Shreveport, and songs released on Shreveport record labels. Featured musicians include: Grégoire Nakchounian And His Russian North Star Orchestra, Sleepy Jeffers, Danny & Jerry, Marion Ester, The Mighty Ambassadors Of Shreveport La., Curly Davis & The Uniques, Reverend Joe Battle And The Gospel Explosion, and more. starwars, a photo by trudeau on Flickr. 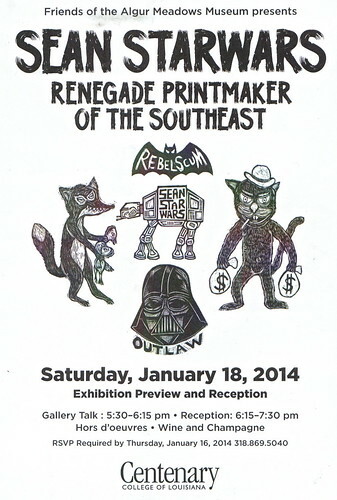 Possums, gators, monkeys, robots and goats: Outlaw Printmaker member Sean Starwars exploits his Mississippi ambience with a big grin. He lives in Laurel, Mississippi, says Wikipedia, where he specializes in droll woodcuts. Prolific and profane, he is a 'One Woodcut a Week" type fellow. Wikipedia says he recently jacked up his rate to 'One Woodcut a Day'. The artist will take the measure of Shreveport's snakes, goats and art collectors with a residency at Meadows Museum Jan 13 - 18. 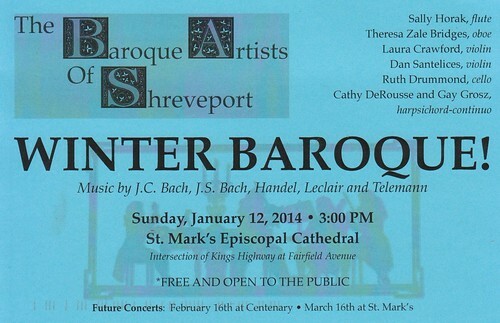 The Baroque Artists of Shreveport will present a concert at St. Mark’s Cathedral on Sunday, January 12, 2014, at 2 pm. "Their concerts, which consist entirely of music from the Baroque period, are always exciting and impeccably performed," says Leslye Gilchrist. 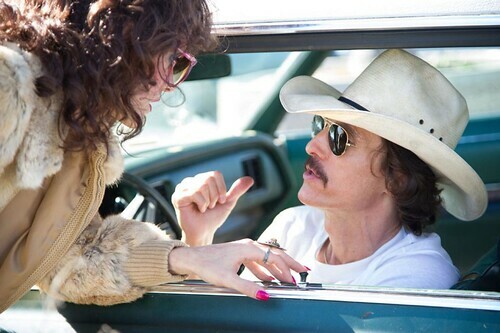 Dallas Buyers Club 05, a photo by CoolHunting Project on Flickr.